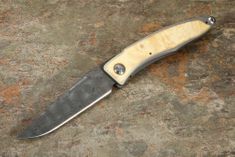 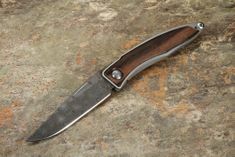 The Mnandi knife is another sleek, beautiful, and durable blade made by knife maker Chris Reeve. 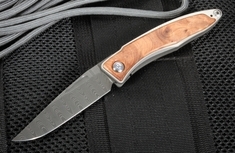 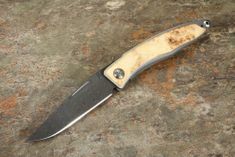 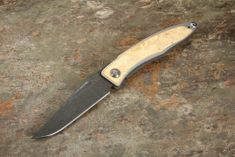 The name Mnandi pays true homage to the knife as it is a Zulu tribal word meaning "very nice." 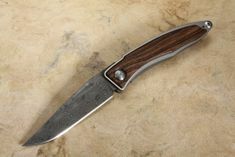 With the knife's sleek Damascus blade and lightweight wood inlay handle we find a knife that could be at home in both any collectors case or an average mans pocket. 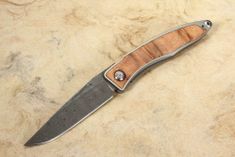 The Mnandi knife has a 2.75 inch long blade, with a plain edge, and a hollow grind making the blade 0.09 inches thick. 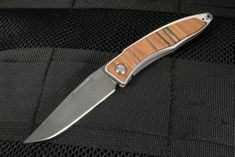 This combined with the manufacturing of the blade from S35VN steel allows the Mnandi to keep an excellent edge, while also being durable and beautiful. 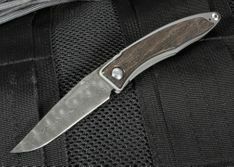 Chris Reeve crafts the Mnandi's blade in two different patterns of Damascus steel or in the stainless S35VN steel. 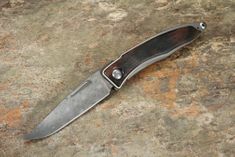 The frame of the Mnandi is a bead blasted titanium frame that only weighs 1.5 ounces and brings the knife to a complete length of 6.375 inches. 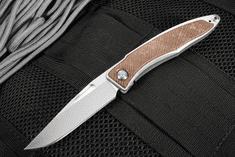 This means the Mnandi is both lightweight and easy to conceal when used as a daily knife. 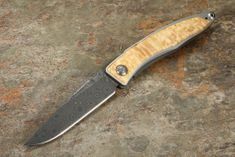 Chris Reeve offers several different styles of wood inlay options including bog oak and box elder woods. These wood inlays are as beautiful as they are functional and create a comfortable but useful handle. 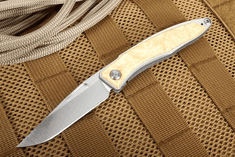 Chris Reeve takes the Mnandi even further as the knife comes with a nail nick opener, frame lock design, and a right-hand, tip-up pocket clip that allows the knife hassle free carry virtually anywhere. 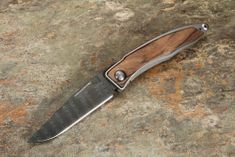 If you are looking for a beautiful American made knife with exceptional craftsmanship and versatility look no further than the Mnandi. 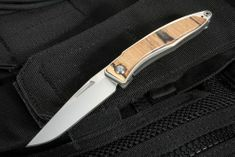 With its light weight and sleek design you are sure to want to carry this knife everywhere. 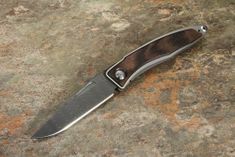 Plus with the Mnandi's durable and edge holding blade you will find one of the best and most reliable knives on the market. 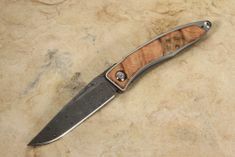 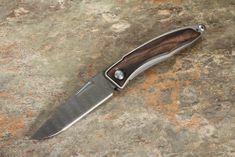 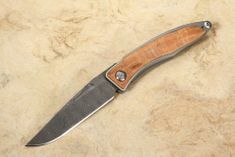 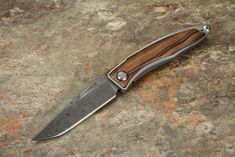 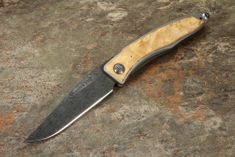 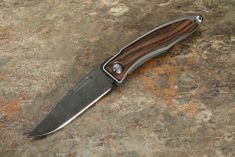 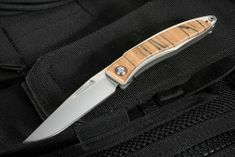 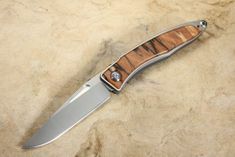 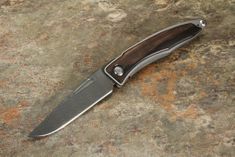 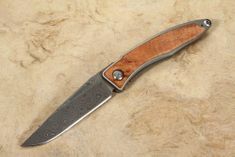 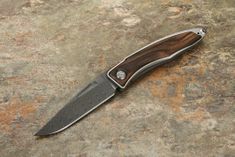 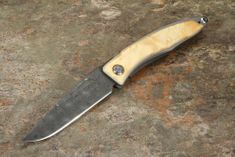 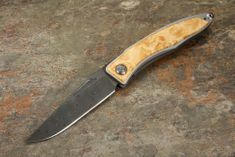 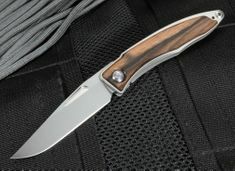 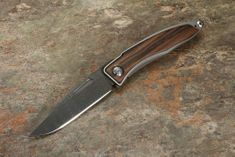 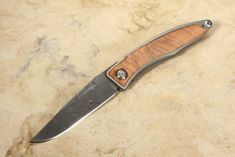 Knife art has almost 20 years of business experience, and offer free shipping on orders over $150. 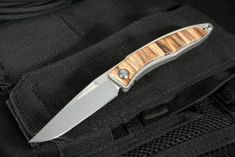 They feel so strongly about their products that they also offer a no hassle return policy. 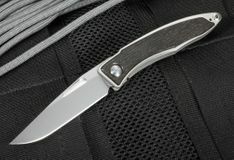 So go ahead and make the Mnandi the next addition to your collection or your next daily use tool.